The messaging app Viber has announced that it has started rolling out end-to-end encryption to its messaging app (version 6.0) across Android, iOS, Mac and PC. “We take our users’ security and privacy very seriously, and it’s critical to us that they feel confident and protected when using Viber,” Michael Shmilov, COO of Viber, said in a statement. “Because of this, we have spent a long time working on this latest update to ensure that our users have the most sophisticated security available and maximum control over their communications. We will continue to make this an ongoing priority as digital communication evolves,” he added. Encryption simply implies that any text or media, including voice and video call, text message, video and photo share, sent through Viber will be encrypted. This applies to group chats as well as private messages. The encryption verification will appear as a padlock symbol in conversations to confirm that the chat is completely encrypted. Moreover, Viber has added a ‘hidden chat’ feature enabling the users to hide specific conversations from the home screen. The hidden messages can only be revealed by entering a four-digit PIN. However, on hiding, the chat will disappear only from your home screen and won’t affect the other end. Viber version 6.0 also has a new layer of security called contact authentication, a new layer of security that allows users to protect themselves further with a simple ‘trust contact’ mechanism. Under this, the users can manually authenticate contacts to select they are “trusted” that changes the lock color to green. “In case, if there appears a red lock, it means there is a problem with the authentication key. The breach may simply mean that a user has changed his or her primary phone. However, it can also indicate a man-in-the-middle-attack. To solve a possible breach state, the participant needs to be re-trusted,” Shmilov said in the blogpost. On iOS, the update brings the option to ‘Like’ media right from the preview screen. The app also now takes less space on iOS devices than before. 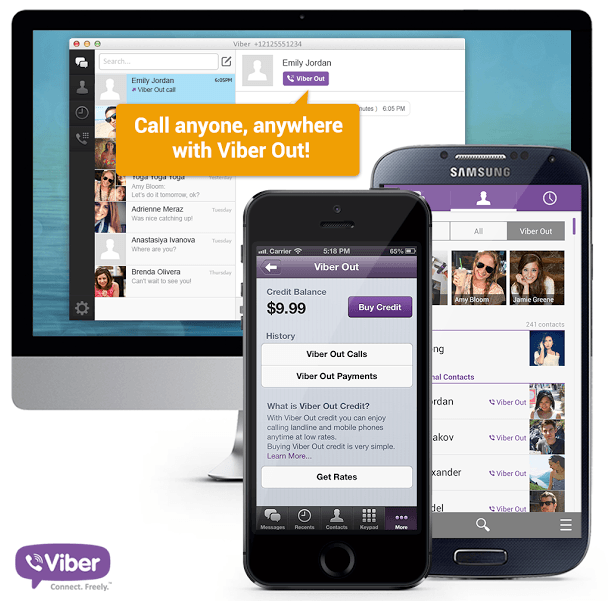 According to Viber website, it has more than 600 million unique users in 193 countries. In April last year, the company had announced crossing the 40 million-user mark in India.